Aging is an inevitable process. How fast we age, how we feel and look may be a result of what we do to ourselves. Taking care of your skin, distressing, exercising and eating right are just a few of the ways to keep symptoms of time and disease at bay. Why is there such a difference in aging from one individual to another? Some of it has to do with genetics, but their lifestyle, mental attitude and diet are major contributing factors. What you eat is one thing you can control. Why not make your diet an anti-aging diet? Fruits and vegetables are vital parts of an anti-aging diet, because they contain antioxidants, the body’s defence against the free radicals that cause cellular damage. Free radical damage is caused by UV rays and is believed to be the perpetrator responsible for wrinkles, skin thickening and other signs of premature aging. 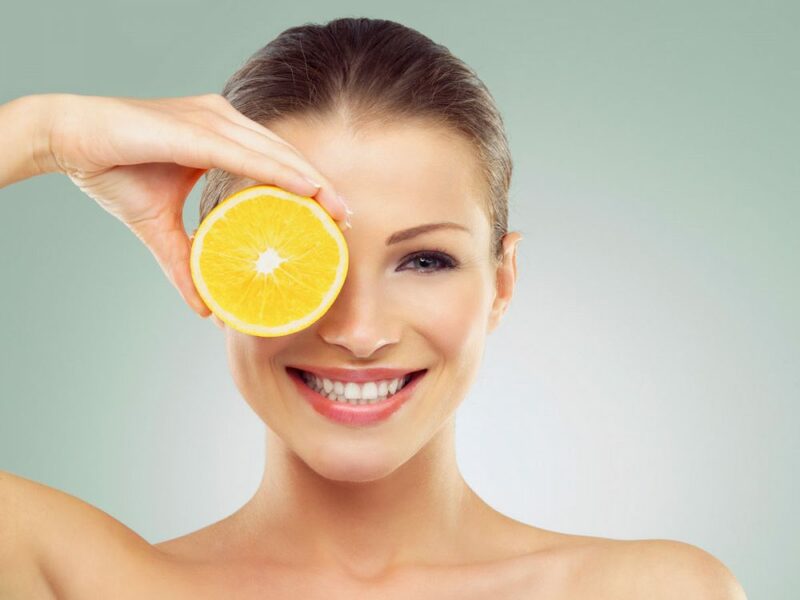 Vitamin C is well known for it antioxidant properties and its role in preventing the free-radical damage that contributes to aging and age-related conditions. It is essential for the growth and repair of tissues in all parts of the body and is needed for the formation of collagen. Collagen is a fibrous protein that is the principal structural support of connective tissue. The dermis layer of the skin is made up of collagen fibers, which is largely responsible for the mechanical strength of the skin. Collagen permits the skin to stretch and then contract again. 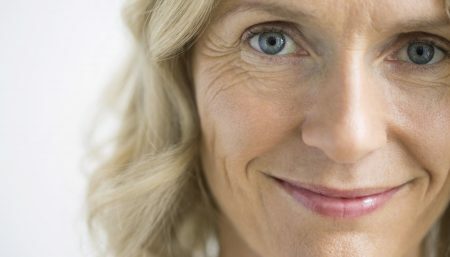 As we age our skin loses this elasticity which is one reason why we develop saggy skin as we age. Vitamin C is widely available in fruits and vegetables. Getting at least five or more servings a day is recommended. Fruits and vegetables also contain water, an essential nutrient for healthy skin. Vitamin C supplements are available both as ascorbic acid and as mineral ascorbates. The best form of vitamin C is ascorbic acid from natural sources. Many health care professionals for optimal health recommend supplementation of 500 to 1,000 mg. If you have a medical condition, please consult with your physician before supplementing with Vitamin C.
Studies indicate that Vitamin E may slow the aging process and prevent premature aging by prolonging the useful life of our cells, thus maintaining the function of our organs. Although we don’t usually think of our skin as an organ, it is a system made up of many cells that serves as a protective barrier against mechanical injury and as the body’s first line of defense against disease organism. Vitamin E has been used for years to promote wound healing and reduce scar formation. It is abundant in natural vegetable oils such as cottonseed, corn, soybean, safflower, and wheat germ. Smaller amounts can be found in whole grains, dark green leafy vegetables, nuts, and legumes. Vitamin E is removed by the processing of many foods and oils so supplementation is recommended. For conditions related to aging and for wound healing 400-800 IU is recommended by most health care professionals. If you have any medical conditions or are taking medication you should check with your physician before taking Vitamin E.
Vitamin A and beta-carotene have been used to treat many skin conditions including acne and wrinkles. Studies indicate that vitamin A is useful in promoting healthy skin. Both are found in dark green and orange vegetables. Sweet potatoes, yams, acorn squash and spinach are excellent sources. Supplementation of Vitamin A can be toxic if supplemented at high levels. If you are pregnant or lactating, do not exceed 8,000 IU. High levels of vitamin A may be toxic to the infant. Coenzyme Q10 also known as “ubiquinone”, behaves like a vitamin in the body and is found in every cell of the body. It has attracted recent interest for its potential as an antioxidant and is getting some positive results when used topically for treatment and prevention of fine lines and wrinkles. Q10 is found in many foods but is abundant in spinach, sardines, peanuts and beef heart. The nutrient I will address is water. It is an essential nutrient often forgotten for its importance in maintaining a healthy body and vibrant complexion. One of the best ways to moisturize the skin is from the inside. Make sure you consume at least 64 ounces of pure water every day for a healthy complexion. Exercise-Experts agree that there’s nothing science can do for you that can forestall the aging process more than exercise. Not only will you feel invigorated afterwards, but also improved circulation will make your skin look and feel healthier. An active and fit 70-year old can have a healthier heart and skin than a sedentary and unfit 25-year old. Sleep-Quality, deep sleep promotes your body’s release of growth hormone, which helps to melt fat and aid muscle development. Besides sleep for at least 6-7 hrs per day is a complete essential to provide body physical and metal rest from day to day worries . While we rest or sleep every cell of the body gets rejuvenated from the stress of life ,putting us back on the right track. Reducing Stress-Stress is a part of everyday life–it’s unavoidable, but very manageable. Stress has been proven to be one of the biggest factors in illness and disease. Lifestyle adjustments are essential . . . no excuses! Learning to relax may seem unrealistic, but it is easier than you think. Remember only you have the power to change the course of your lives. If you’re feeling down, exercise may help pick you up. A review of past studies found that long-term exercise, especially when it includes long-lasting, strenuous training sessions, has about as much of an effect on depression as psychotherapy. (HOWEVER, the FIRST thing you should do if you think you’re suffering from depression is to seek a mental health professional.) Working out helps you deal with stress. In your job, relationships, or any area of your life. Exercise is a form of stress itself and conditions your body to deal with it. Eat a healthy balanced Diet– based on the Food Guide Pyramid. Try to consume more of foods at the bottom of the pyramid like cereals and pulses along with fruits and vegetables and less of foods at the top of the pyramid .Always eat breakfast! Skipping breakfast sends the message to your body that you’re “starving” because you haven’t had food in 18+ hours (dinner meal one day to lunch meal the following day). As a protective mechanism, your metabolism slows down. Leaving you drained out of energy . Food, especially complex carbohydrates, fuels your metabolism. Cut down on Tea and Coffee. Women who drink a lot of tea ,coffee, hot chocolate and cola-type drinks are more likely to have tired -looking skin and to suffer from conditions such as a greasy skin and spots . The coffee or soda you drink throughout the day can be a mental and physical health nightmare. Too much caffeine can cause dehydration ,prevent absorption of essential nutrients by the body, cause shaky hands, restlessness and irritability, all of which increase stressful feelings. Try drinking not more than 3-4 cups a day of any caffeine containing drinks. This information is provided for educational purposes only and is not intended as a substitute for professional medical advice. Do not use this information to diagnose or treat a health problem. Please consult your health care provider if you suspect you are ill, or have questions about your condition.